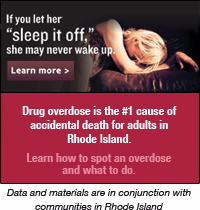 The Regional Center for Poison Control and Prevention Serving Massachusetts and Rhode Island supports outreach education programs to increase awareness of the center’s services and to educate the public about poison prevention information. A poison is a substance that harms the structure or functions of the body in a manner which causes irritation, injury, illness, or even death. Poison exposure can take the form of inhalation, ingestion, absorption through the skin, or injection (as in an insect sting). Some poisons are immediately harmful, while others act more slowly, and yet others become toxic as a result of repeated exposures over time. Poisons also vary in toxicity, which means that certain substances can be very dangerous even in small quantities. Approximately 70% of poisonings occur in the home. Of these, more than half involve children under 5 years of age. Children 1 and 2 years of age are the group most affected by poisonings. Children are most at risk because their curiosity leads them to touch and taste unknown substances, and because they have low body masses which can be more easily overrun with toxins. Adolescents are also at risk for unintentional and intentional poisonings. About half of poisonings among teens are classified as suicide attempts, and teen experimentation with drugs and alcohol is also a source of poisonings. Among the elderly, poisonings are most often the result of the misuse of medications. While the Regional Center for Poison Control and Prevention is available 24 hours a day, 7 days a week at 1-800-222-1222, prevention is better than treatment. To learn more about what can be poisonous and what you can do to make your home safer, click on the various links on the left.